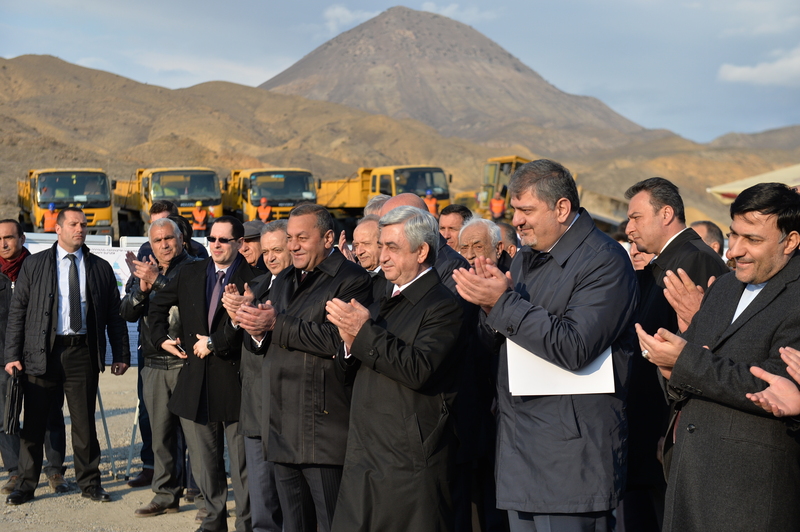 President Serzh Sargsyan conducted a working visit to Ararat marz. 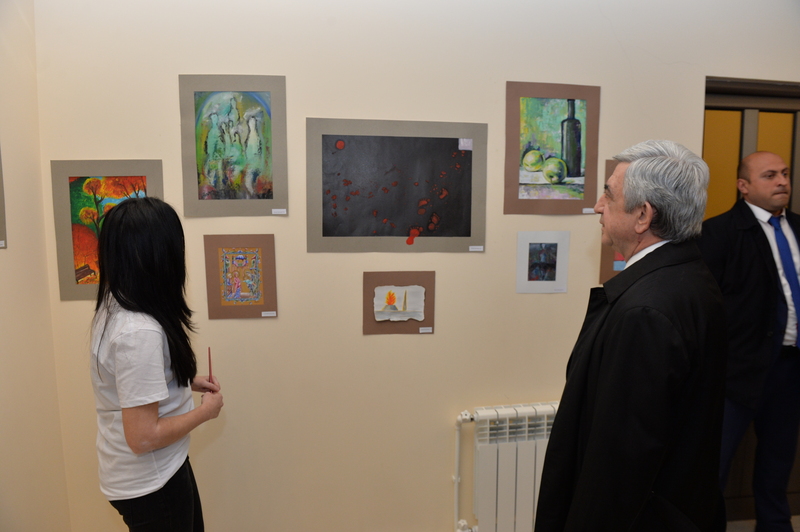 The President of Armenia visited the Youth Center in Masis town. 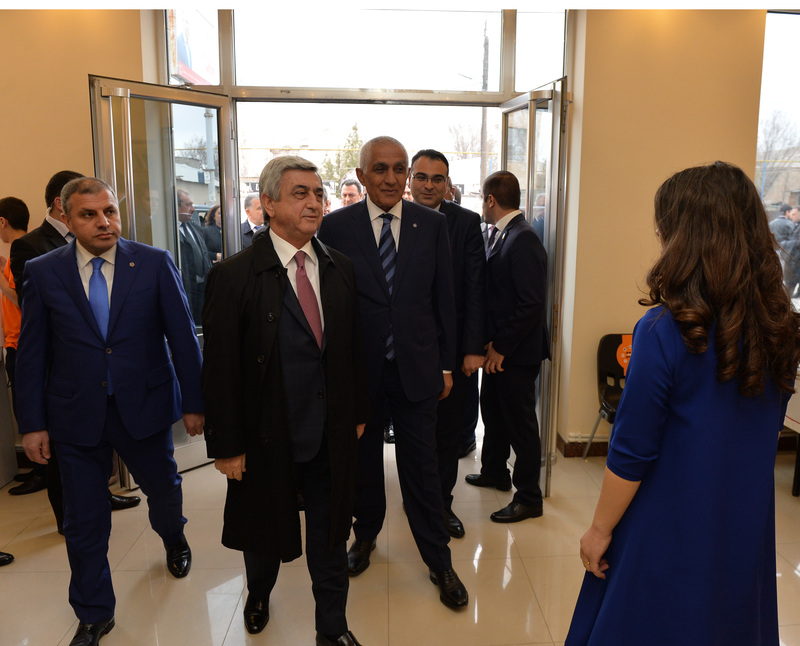 Together with the representatives of the marz and town authorities, the sponsor, who built the center, and beneficiaries he toured the Youth Center. 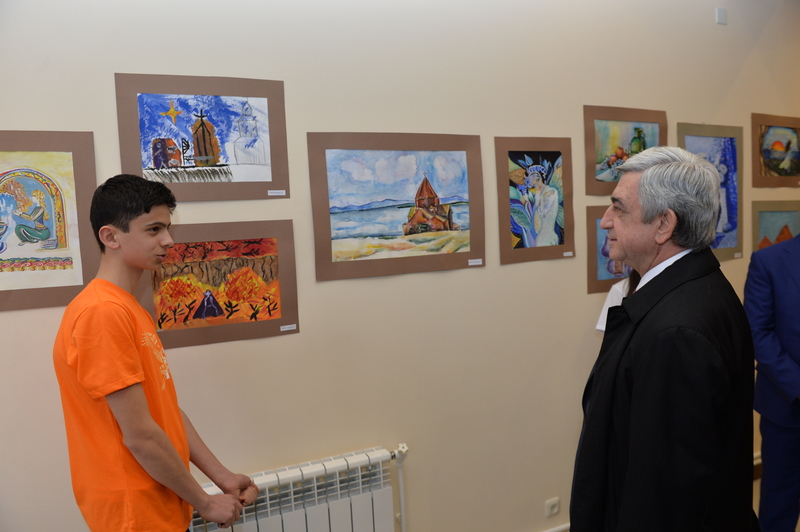 Serzh Sargsyan familiarized with the mission and the areas of activities of the Center and conditions created for the young people of Masis. 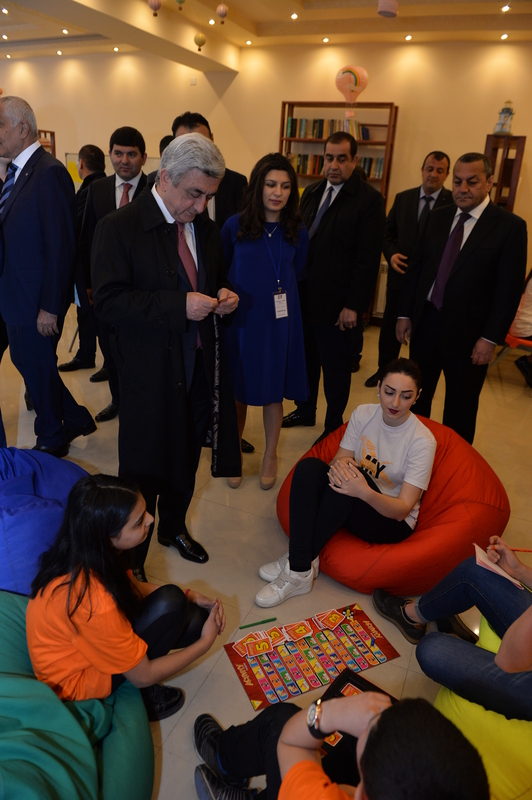 Responsible officials noted that the Center is aimed at the multifaceted development of children, widening their horizons, revealing their talents and implementation of the programs for the enhancement of civil vigor and the culture of volunteering. The Center has three main areas of activities: educational, volunteering, and social programs. 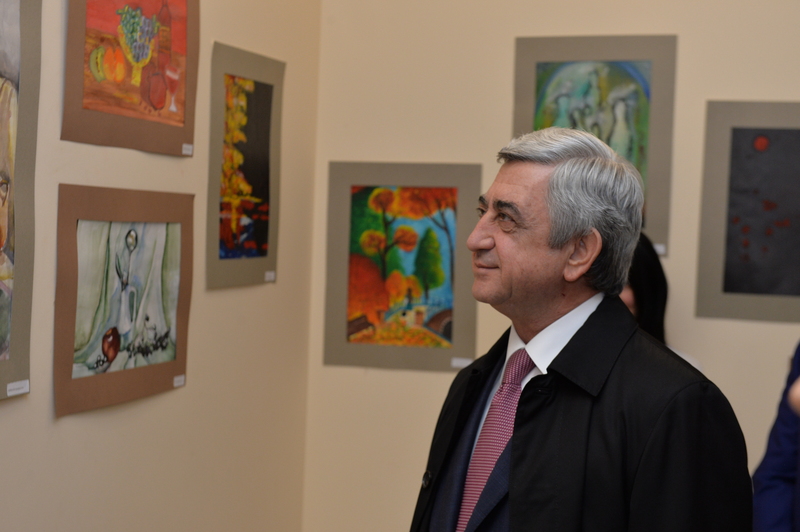 The President was informed that currently over 120 children and teenagers of Masis are attending the Youth Center. 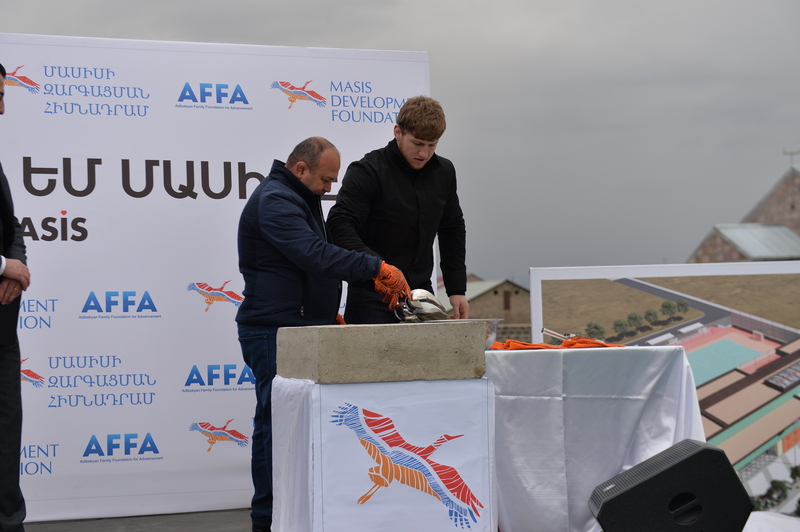 The Center has been created by the Masis Development Fund established by the Adibekian Family Development Fund private benevolent organization. 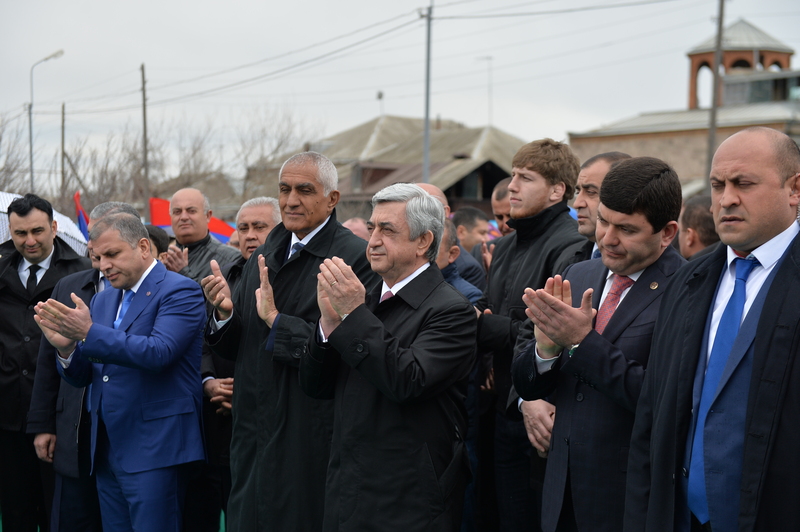 In Masis, the President of Armenia was also present at the groundbreaking ceremony for the first in the town family sport compound. 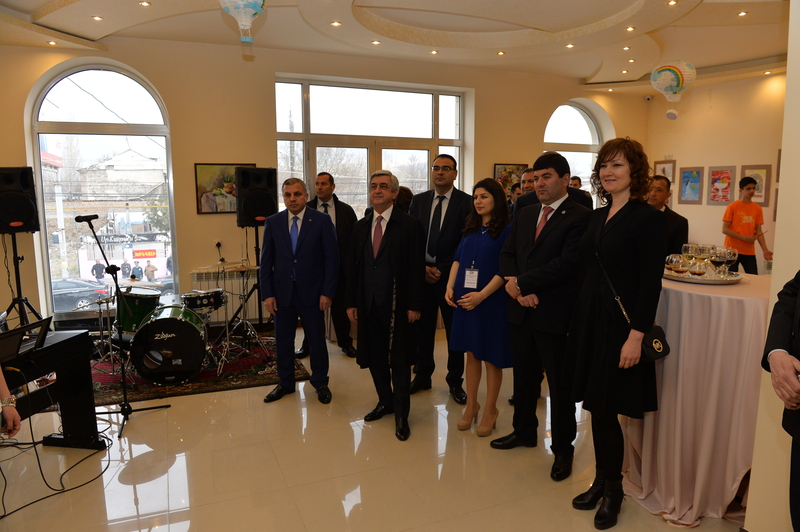 According to those responsible, the cost of the program is close to 2 million USD. The construction program of the sport compound will commence in April 2017 and is to be completed in June 2018. 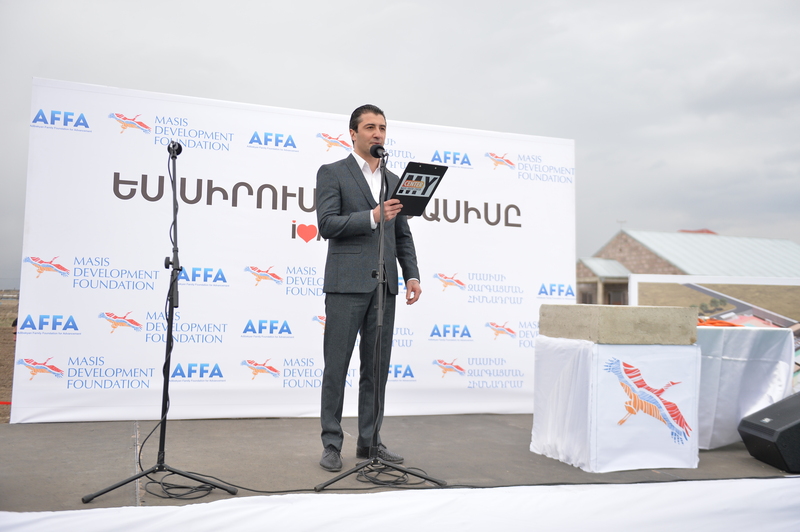 The project is implemented through the funds provided by the Adibekian Family Development Fund private benevolent organization. 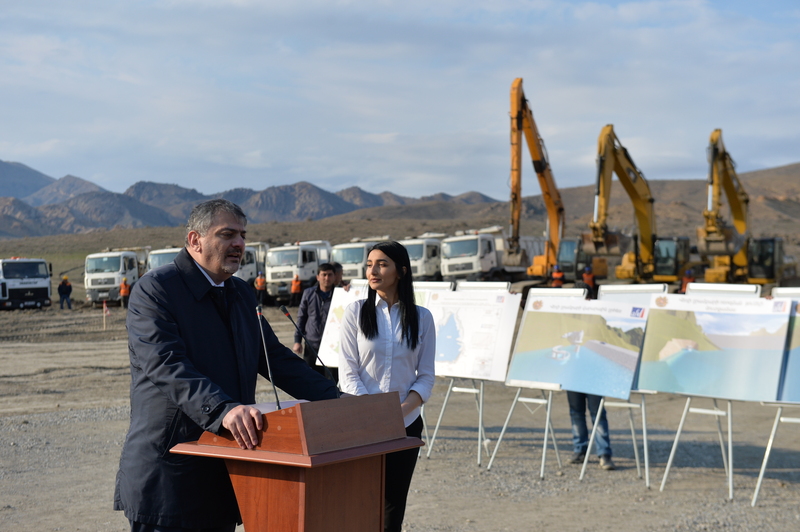 The sport compound will have fields for mini-football and basketball, an outdoors site equipped with sport apparatus, as well as a play-ground for children. At the territory adjacent to the compound there will be a small park for the residents with comfortable seats. The sport facility has also equipment for the handicap persons. 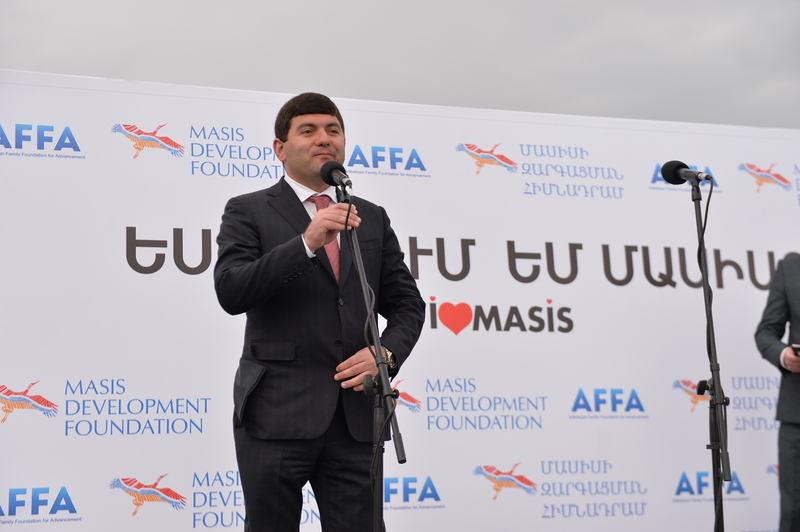 The compound will become the first family, social, sport and leisure center in Masis town. It is intended to develop social, cultural, and economic life of the town and will bring together representatives of all generations. 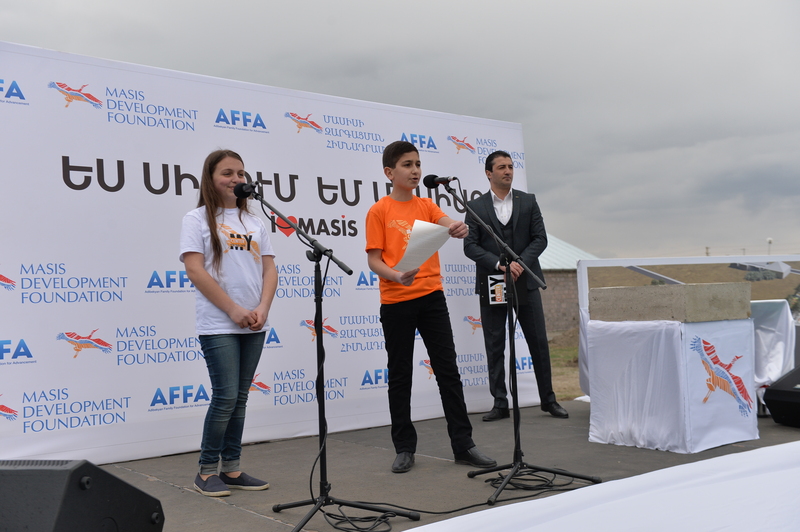 During the groundbreaking ceremony a message of the Masis Youth Center addressed to the generations was read out and then put into a capsule. 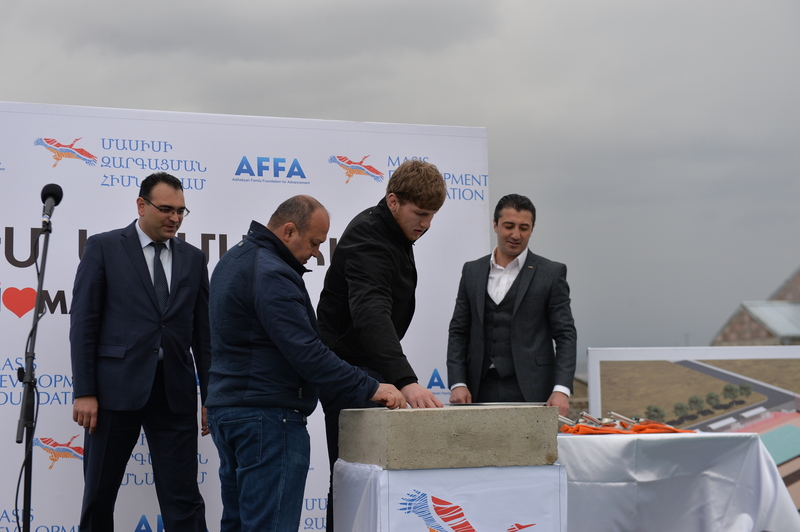 Arthur Alexanian – member of Armenia’s Olympic team, Greco-Roman style wrestler, two times world and three times Europe champion, bronze medal winner of the Olympic Games, gold medal winner of the 2016 Summer Olympic Games and Aram Margarian - 2002 world champion in free style wrestling placed the capsule in the foundation of the compound. 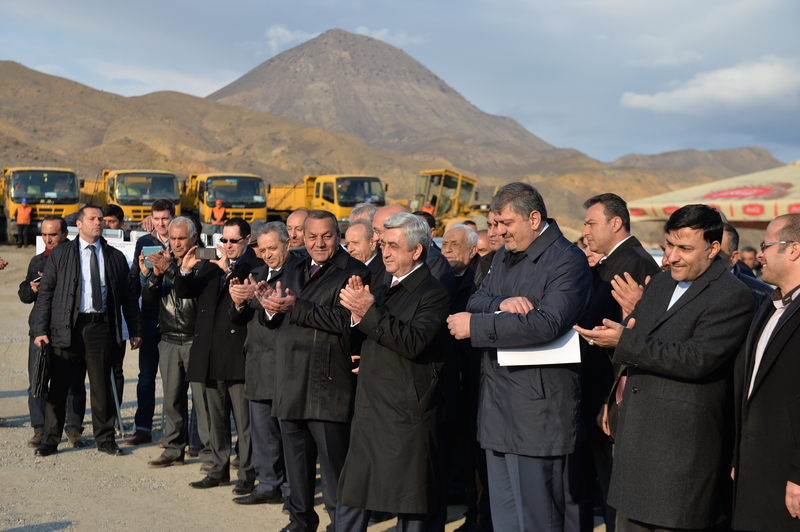 President Serzh Sargsyan, who is in Ararat marz on a working visit, participated at the groundbreaking ceremony for the Vedi reservoir. 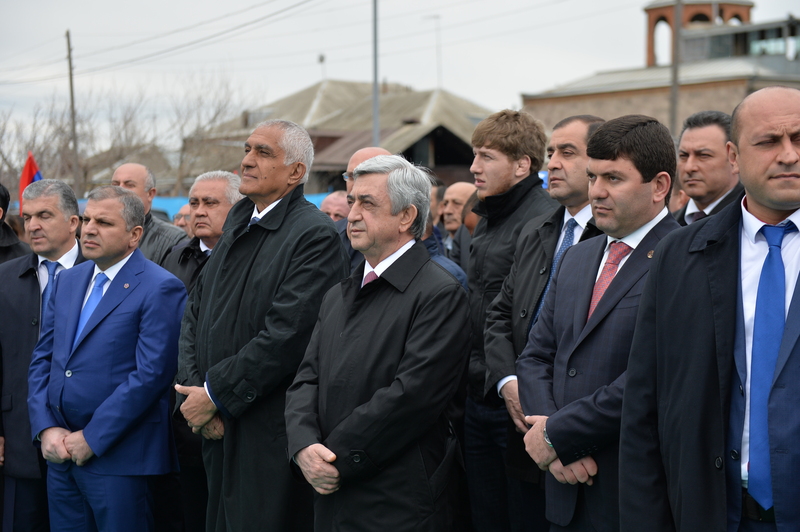 Present at the ceremony were also the Vice Prime Minister, Minister for Economic Integration and Reforms, Governor of Ararat marz, Chairman of the State Committee on Water Resources, representatives of the diplomatic missions of France and Iran in Armenia, Head of the South Caucasus Office of the French Development Agency, other officials. 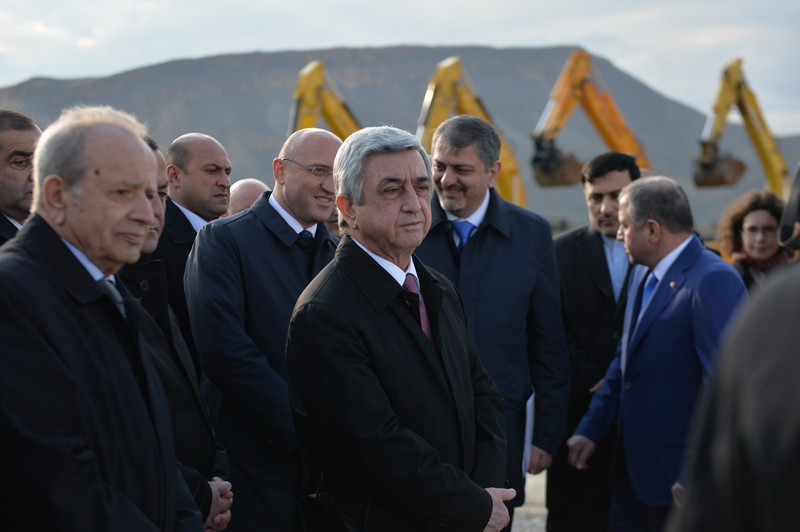 At the construction site of the reservoir, the President of Armenia familiarized with the construction blueprint, conversed with the officials responsible for the project and construction workers. According to them, the blueprint for the Vedi reservoir has been prepared with the implementation of the best practices which guarantees a high efficiency of this hydro-technical structure and its safety. 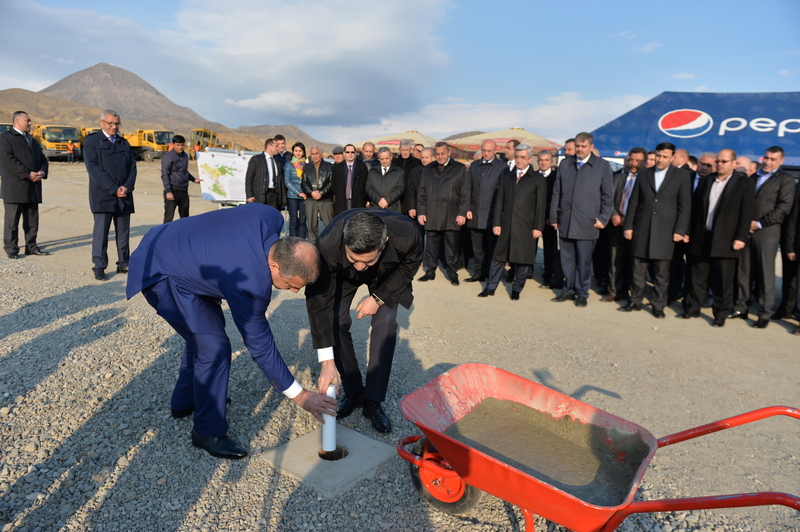 Construction of the reservoir is an important step in providing consistent irrigation for nearly 7500 hectares of agricultural land of the Ararat valley and ensuring the development of agriculture. 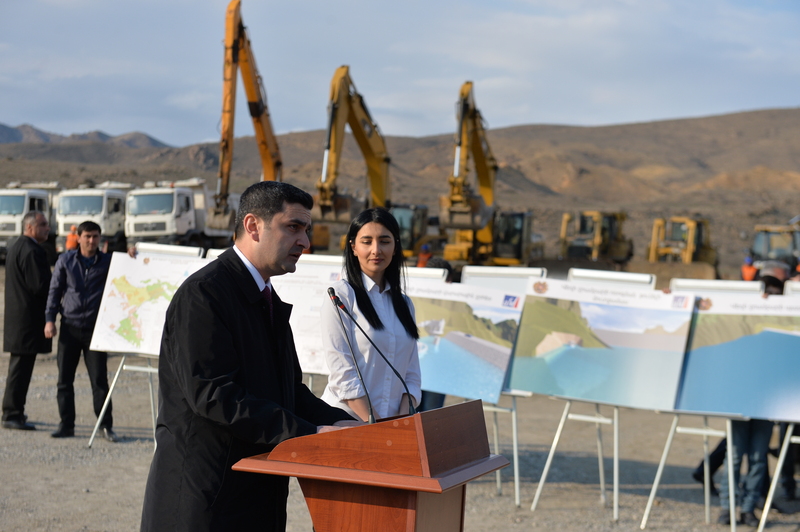 It will also assist in the restoration of the ecological balance of Lake Sevan. 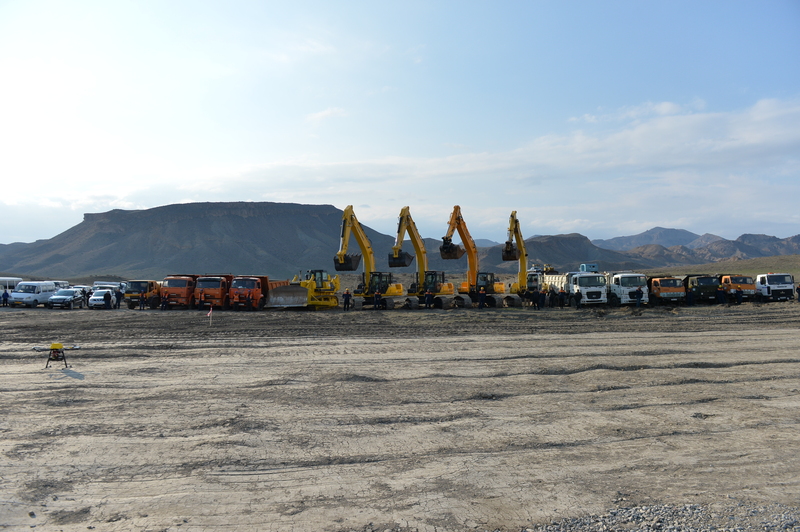 The blueprint of the reservoir has been prepared by the Artelia Eau & Environment French company and Sher Ingenieurs-Conseils Belgian company together with Jrtuk Ltd. 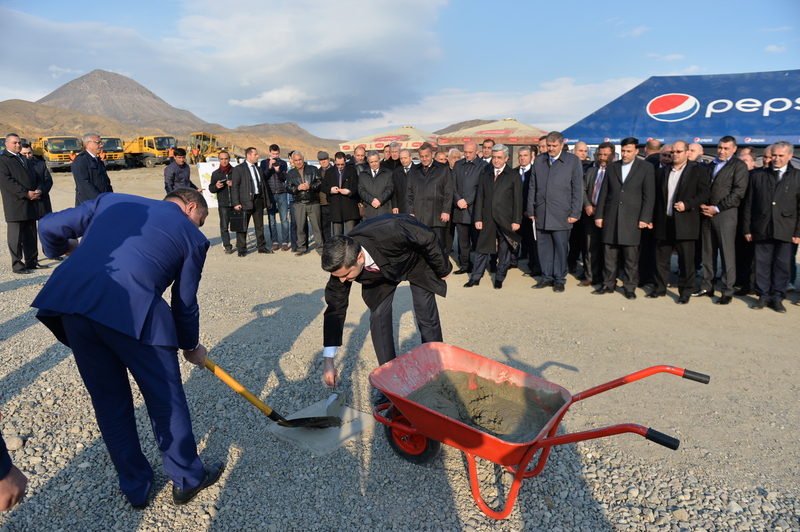 The construction will be carried out by the Armenian Sahakianshin company and Iranian Pega Construction consortium. 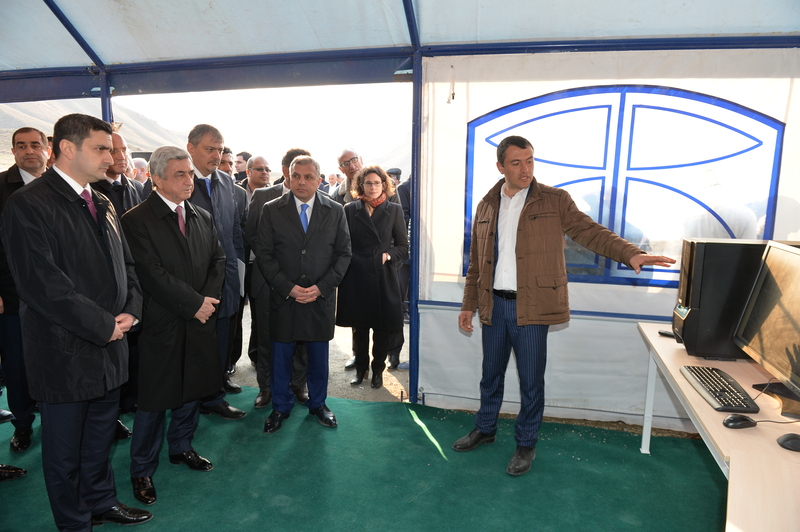 Responsible officials expressed hope that the construction from zero of the first in the history of independent Armenia water reservoir will become a starting point for the development of this sphere and assured that in only 3-4 years the results of today’s undertaking will become tangible for over 50,000 farmers of Ararat marz. 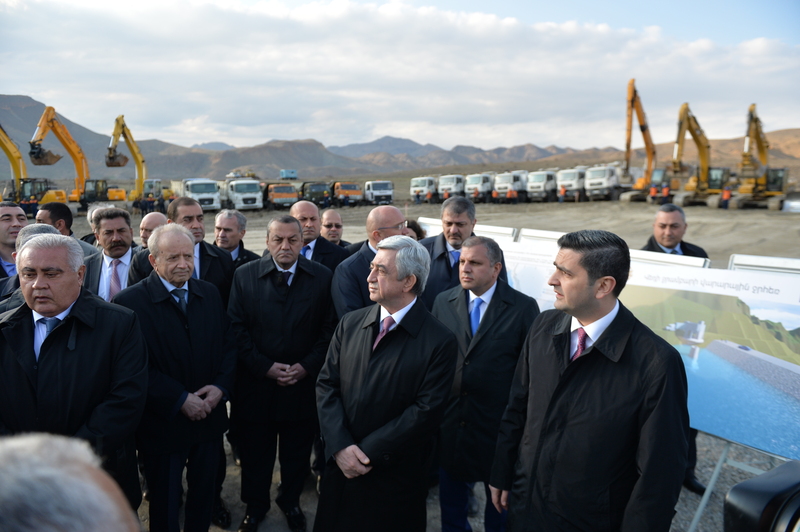 Specialists reported to the President of Armenia that the total size of the Vedi reservoir will make 29,43 meters and its water supply will make 32,33 meters. 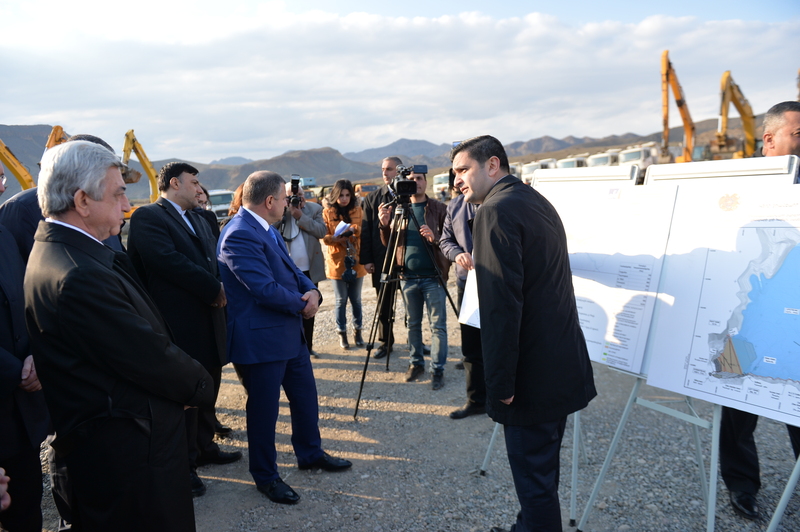 The reservoir will be filled with Vedi and Khosrov flood (free) waters, out of the irrigation cycle. 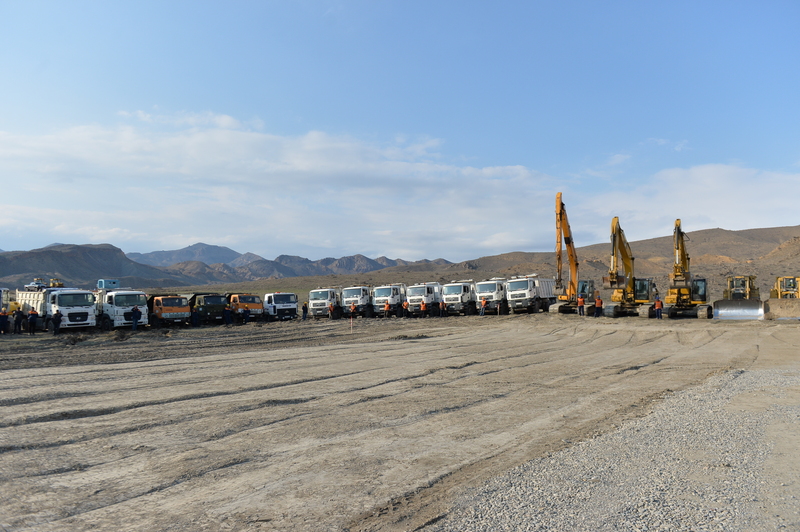 The Vedi reservoir will have two bulwarks, and the surface of the ditch will be 120 hectares. 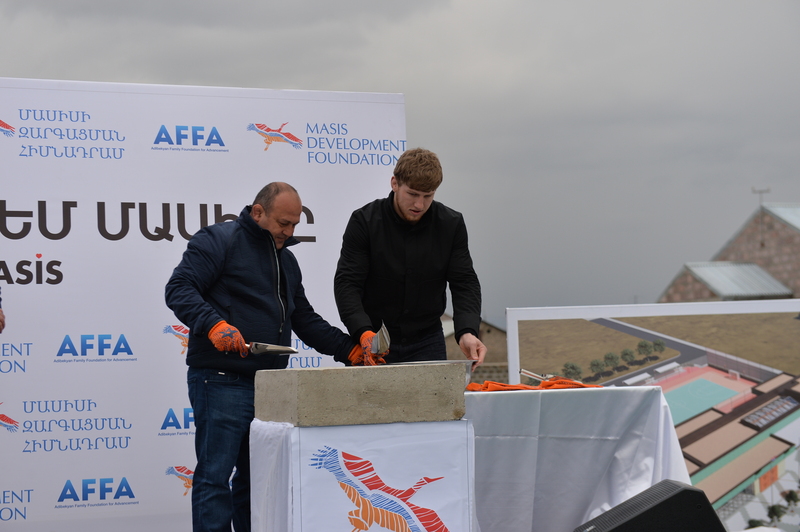 The 90 million Euro worth construction project of the reservoir and irrigation system is implemented through the grants provided by the French Development Agency and co-financing of the Government of Armenia. The construction works for bulwarks of the Vedi reservoir and auxiliary structures have commenced in March 2017 and are to be concluded in 2021. 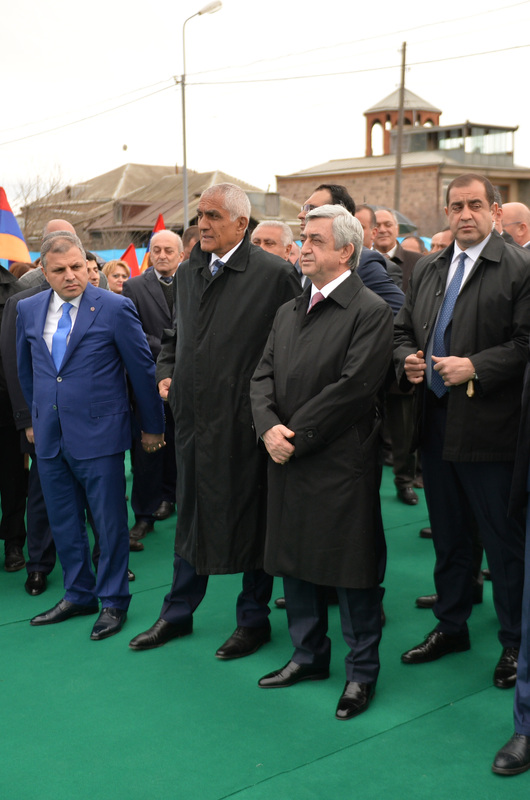 The President of Armenia was also reported that in four years planned for the construction, there will be created nearly 250 new jobs with the average monthly wages close to 220-250 thousand AMD.